When an historical and art exhibition dedicated to the Tretyakov brothers was organized to commemorate the Tretyakov Gallery’s anniversary in 2006, many documents were discovered that shed a new light on the history of the collection, as well as on the commercial and philanthropic activity of the Moscow merchants. Other facets of Sergei Tretyakov’s personality were also revealed. Yet, despite some recent publications, many aspects of the younger Tretyakov’s life and work have still to be clarified. Sergei Tretyakov enjoyed society and public life, and more actively than his elder brother participated in the social and political life of his home town. As a member of the City Council (1866-1892), he took part in preparation of draft legislation. A merchant of the highest rank according to the Merchants’ Classification, he was granted the hereditary title of honorary citizen in 1856. He received the title of Councilor of Commerce in 1875; in 1878 Sergei Tretyakov was knighted, and the title of Actual Councilor of State was granted to him in 1883. From 1868 he was a member of the Moscow branch of Council for Trade and Manufacturing. He chaired the Moscow Society of the Friends of the Fine Arts from 1889 to 1892. Sergei Tretyakov was also a member of the Moscow Art Society’s Board and headed the Russian Musical Society’s Board. He sponsored the Moscow School of Arts and the Moscow Conservatoire, and provided financial support to several professional schools in Moscow. Such a list of his titles and appointments is still incomplete. His appointment as the Mayor of Moscow from 1877 to 1881, perhaps, may be considered the most remarkable period of his life, in which he “aspired to serve the community”. On assuming the office, Sergei Tretyakov showed his great talent for administration and strong will. He actively participated in organizing the Pushkin Days in Moscow in June 1880 and in the ceremony of unveiling the statue to Pushkin on Strastnaya Square. “He was the best candidate for the office. Intelligent, educated in culture and arts, good-natured but very strong-willed, he could ... inspire his subordinates and colleagues and instill in their hearts love and devotion to the work, which he himself so passionately loved and knew so well.,” — such was the opinion of his contemporaries. “Under Tretyakov’s leadership, the Municipal Council supported and guided young talented specialists in various fields — engineers, architects, doctors, and the like. Many of those ‘young talents’ later became famous and their names were registered in the city annals.” The “Moscow Period” of Sergei Tretyakov’s life deserves more detailed research, even though many facts are commonly known. However, the later days of the younger Tretyakov, which may be described as the “St. Petersburg Period” have been hardly ever studied. After 1881, Sergei Tretyakov lived mostly in St. Petersburg. In winter he stayed in the city, during summertime — in the suburbs: he rented a summer house in Old Peterhof. Every year he spent a few months abroad with his wife. Sharing a business and living in different cities, the Tretyakov brothers were engaged in active correspondence prompted by the need to reconcile business decisions. That is why today the manuscripts department of the Tretyakov Gallery has a precious collection of Sergei Tretyakov’s letters, carefully collected and saved by his brother. Sergei’s correspondence consists of business letters, which emphasize the self-discipline of a businessman and show the author’s talent to express a topical problem concisely. He preferred personal conversation to speak about the “incredible impressions” of his trips. As for opinions of prominent statesmen and relevant “delicate” details, Sergei also avoided mentioning them in his letters. Yet, this set of documents gives a bright insight into Sergei Tretyakov’s life in the 1880s and reflects his social and business interests, as well as the aesthetic and artistic preferences of that period. As Botkina recalls, “Sergei Mikhailovich was mostly responsible for import operations and for Moscow trade”; Pavel Tretyakov single-handedly controlled all other financial and business transactions of The Tretyakov Brothers & Konshin’s Trading Company. From the early 1880s the younger Tretyakov practically withdrew from active participation in the business. Yet, in St. Petersburg his connections, reputation, business acumen and outgoing personality secured him access to the highest official circles. That is why his part in the brothers’ joint business should be re-evaluated. He was well received in the Department of Trade and Manufacturing, which supervised operations of The Tretyakov Brothers & Konshin’s Trading Company. For many years he lobbied on behalf of the family business, carried out negotiations, gathering important information on the new draft laws and impending financial audits, and petitioned to the authorities on behalf of his company. He always acted as the influential representative of the brothers’ trading company and even represented other Moscow manufacturers. Often he had to settle business disputes that occurred regularly. 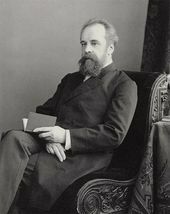 In 1884, he had to put much effort into restoring the good reputation of the Tretyakovs’ company, which had been unjustly accused in smuggling goods into Russia. At the same time, he continued supervising import purchases for the Tretyakov brothers’ shop on Ilyinka street, which received goods from France and the United Kingdom, and a little later from the Netherlands and Ireland. Goods were imported even from China. On many business issues he convinced his elder brother to take risks, even though Pavel himself always was cautious and preferred stability and secure contract terms. Unlike Pavel, Sergei was not afraid of risk: sometimes he offered to enter a new project on unfavourable terms in the hope that inconveniences could be settled later for mutual benefit. On November 16 1888, Sergei Tretyakov prepared his will, in which he donated his art collection to the city of Moscow to found a city art gallery — such was the desire of his brother Pavel, as each of the brothers was familiar with the contents of the other’s will. The Tretyakov brothers had decided to unite their collections and donate them to the city long before the actual transfer of the property took place. 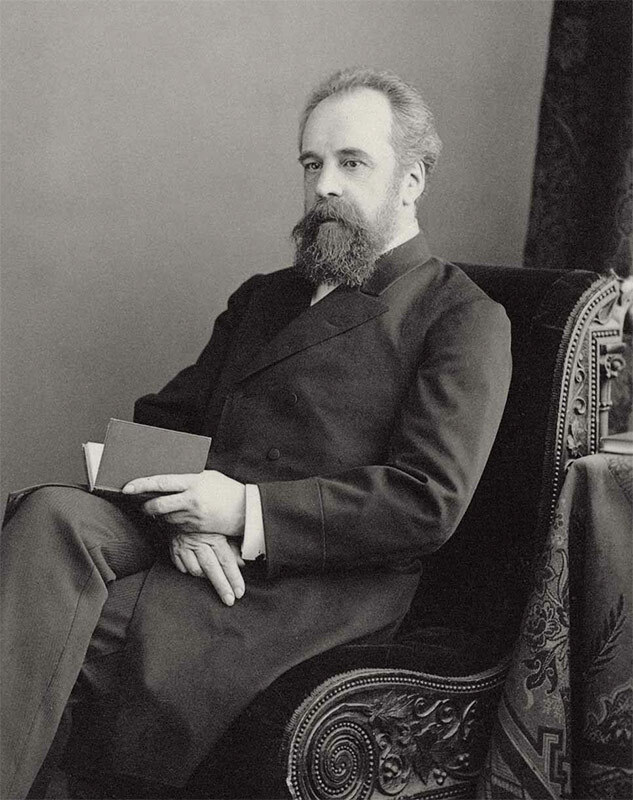 On July 25 1892, Sergei Tretyakov died in Peterhof of cardiac rupture. 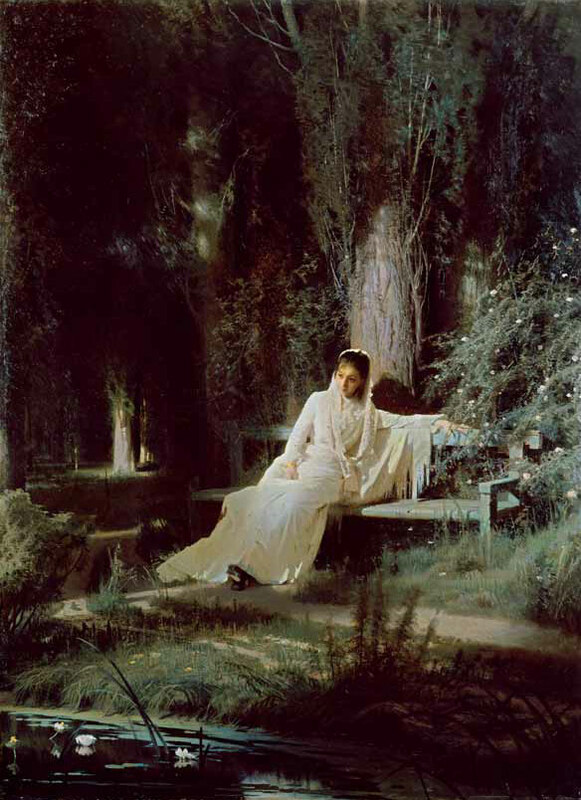 Sergei Tretyakov started collecting works of art after his brother in the early 1870s. Initially based on different principles, the Tretyakov brothers’ collections differed in their contents and nature. It was quite natural given the difference in the brothers’ personalities and lifestyle. 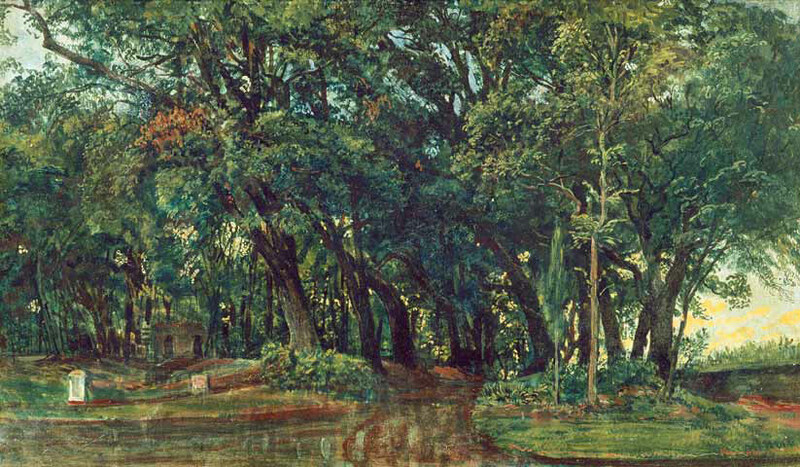 Yet, certain similarity did exist: both Pavel and Sergei started their collections with works of contemporary artists and preferred landscape paintings. However, as new items were added, the owners felt a desire to turn them into collections reflecting the history and development of art, and they started looking for the works from earlier periods. One of the main clauses contained in both brothers’ wills provided for uniting the two collections and the transfer of their ownership to the brothers’ hometown. Special halls at the Collector’s House in Tolmachi were the home to Pavel’s collection, and available to the general public from 1881. Sergei’s private residence housed his collection, which was available only for friends and persons recommended to the owner. Sergei was mostly interested in works by modern West European artists, primarily from France. They were valued more highly than works of Russian artists, and for an inexperienced collector it was difficult to fully comprehend the complexity of Paris’ art life given the variety of its styles and genres. In the beginning, Sergei took advice from Alexei Bogolyubov and Ivan Turgenev. In the opinion of Irina Kuznetsova,7 the latter’s advice had the most significant impact on the contents of the younger Tretyakov’s collection and fostered his love for the Barbizon school. Sergei’s letters of the 1870s reveal the portrait of a young collector, impulsive and charged with emotions. His interest was easily kindled, and he was carried away. Yet, on suspecting dishonest or — what’s even worse — fraudulent behaviour, Sergei’s interest “waned” very fast. “Madame Levenstein again tried to deceive me. It turned out that Gupil’s offer to her was 10.000 francs, not 12,000, as she had told me initially. She intended to defraud me of 2.000 franks by sending a telegramme with the exaggerated price. I have no intention to buy any painting here, unless it will be something exceptional,” he states flatly in his letter to Pavel sent from Paris in the autumn of 1878. Yet, during his stay in Paris, Sergei was carried away by the city’s atmosphere time and again. With all the passion of a collector, he was caught up in the whirlwind of sales, purchases and exchanges of works of art. “I’ve already sent you two letters. In the first one I was asking you to send to the address of Arnold & Tripp, 8, rue st. George, Dupre’s and Daubigny’s works. In the second letter, I asked you to send to the address of George Petit, , rue st. George Daubigny’s painting, which was bought from Vargunin, and a work by Messonier. Now I would ask you to send two more paintings — by Rousseau and Wahlberg. Being in want of money, I.S. Turgenev decided to sell a painting by Rousseau and I bought it. Now I have two paintings by Rousseau so I will sell the old one. I think of buying something extraordinary to replace the sold paintings, but I haven’t yet decided what exactly I want to buy. I saw many exquisite works of art but bought only Turgenev’s Rousseau and Munkacsi [his work “Making Up a Bouquet” — T.Yu.] to replace the sold paintings. I have mentioned Munkasci’s work in my previous letter,” Sergei wrote to Pavel from Paris in 1882. Less than a month later, he thanks Pavel for his assistance: “All paintings that you’d sent arrived in good shape. I sold them with a gain, including Messonier. Instead. I bought truly outstanding works, and now I have an excellent collection of paintings.” From Sergei Tretyakov’s letters it transpires that he knew Messonier personally and through Pavel conveyed the artist’s requests regarding representation at exhibitions for Moscow collectors. 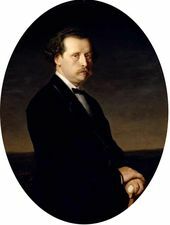 Sergei Mikhailovich bought artworks from collectors and merchants, in Paris from Gupil, Drouot’s auctions, and galleries owned by Duran-Ruel, Petit, Arnold and Tripp. He also visited the Paris Art Gallery and the major exhibitions, including international ones. Thus, Jules Breton’s work “Fishermen in Menton” was purchased at the International Exhibition held in Paris in 1878. 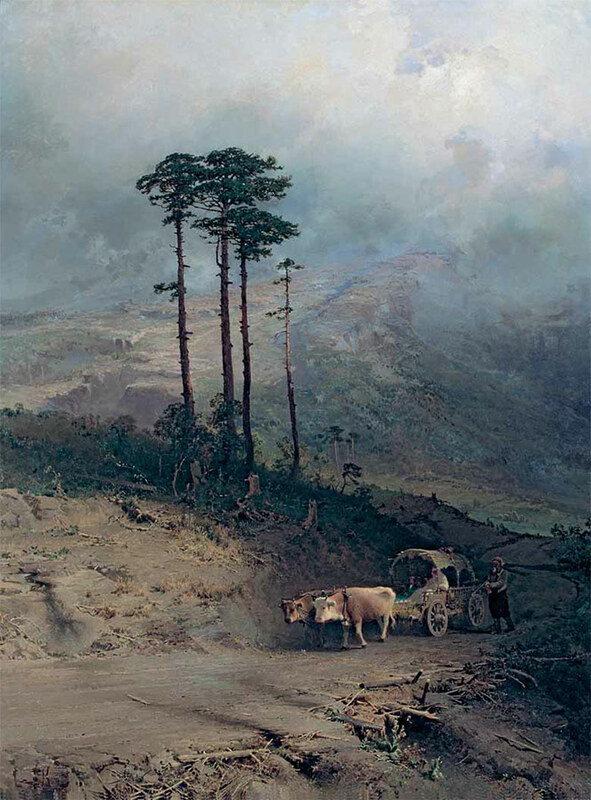 At Gupil’s Sergei bought Luigi Loir’s painting “Smoke of the Paris Railroad”. Obviously, Bogolyubov and Turgenev aided him in establishing direct contacts with artists, whom Sergei visited at their studios. Sergei Tretyakov was the first Russian art collector who attempted to create a collection representing the history of 19th century French art. From the late 1880s, Sergei acquired works by David, the founder of French Neoclassicism, who lived at the turn of the 18th century, as well as paintings by the representatives of the French Romantic school — Delacroix and Gericault. The collection includes some excellent works of the Barbizon school, including Rousseau, Diaz de la Penja, Dupre and Troyon, another French Barbizon school painter. The artists whom the collector most valued are represented by a greater number of paintings — there are seven paintings by Corot and six by Daubigny. Another popular school of that time — Orientalism — also found its place in Sergei’s collection. Among artists representing modern Realism the younger Tretyakov preferred Millet, Courbet, Bastien-Lepage and Dagnan-Bouveret. His last purchase was Corot’s “Diana Bathing”. 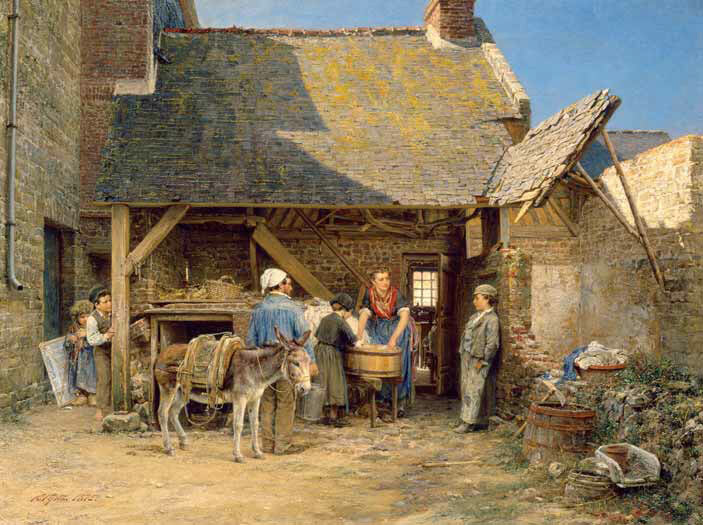 Sergei may also be credited with discovering talents given that he bought works by then- unknown artists, such as Luigi Loir and Pascal-Adolphe-Jean Dagnan-Bouveret. From the early 1880s onwards Sergei Tretyakov started purchasing paintings representing other famous West European schools to complement his collection, including works by Spanish, Belgium, Swiss and German artists. Thus, he acquired some works by artists already famous in Europe: the English painter of Dutch descent Alma Tadema, the Hungarian master Mihaly Munkacsi, and the Spaniard Mariano Fortuny, admired by many a Russian artist for his twinkling, lively colours — both Kramskoy and Repin wrote enthusiastically about him. In selecting items for his collection, Sergei was very scrupulous and showed his great taste for true art. In the words of Igor Grabar, he founded a “unique” gallery of European art, which attracted admirers of Western art. A premises on Prechistensky Boulevard was chosen as the location for the younger Tretyakov’s collection, and the building housing the gallery was always accessible for young artists, students of the Moscow School of Art and Sculpture, and all those who loved art. Thus arranged, the solution targeted some of the goals set by the Moscow-born merchant-philanthropist who was a true citizen and patriot: to found in Moscow a permanent exhibition of modern European art was an important step from historical, cultural, aesthetic and educational perspectives alike. Both Tretyakov’s contemporaries and his descendants frequently spoke about the influence of his collection on Russian art, and remembered it with sincere gratitude. Thus, it is generally agreed that many Russian artists, including Mikhail Nesterov and Valentin Serov, were to some extent influenced by Jules Bastien-Lepage’s “Village Lovers”. In Vasily Polenov’s opinion, many paintings were influenced by Dagnan-Bouveret’s “Blessing of the Newlywed”, including Elena Polenova’s “Visitors”, Illarion Pryanishnikov’s “Waiting for the Best Man”, Vladimir Makovsky’s “Declaration”, Valentin Serov’s “A Girl with Peaches”, and even Ilya Repin’s “Unexpected Visit”. According to some specialists, Konstantin Korovin’s “The Tea Table” should be also included in this list. It is a well-known fact that many artists visited Sergei Tretyakov’s gallery with the purpose of copying famous works — for example, Isaak Levitan and Konstantin Korovin copied Corot’s works. After Sergei Tretyakov’s death, when the collection had to be transferred to the city as municipal property, it consisted of 84 items which included paintings and drawings by West European artists, four ancient statuettes and a pitcher, as well as three French tapestries dated 17th-18th century. Every collection reflects the collector’s particular personality. Sergei Tretyakov was a passionate collector; he was emotional and impulsive; sometimes he acted recklessly and sometimes cautiously. He was not afraid to buy and to abandon his purchase later. Without regret, he often exchanged some of his collection works for new ones and easily parted with his recent acquisitions. He passionately argued to reduce the items’ price, and when he discovered fraud, he was indignant. Judging by his letters, Sergei Mikhailovich could be carried away and inspired easily, yet he kept his desires under control when it came to the evaluation of a potential purchase’s true cost. In his letters to brother Pavel he gave a realistic assessment of the works of art. Of course, like any other collector, he made mistakes, and later a few items from his collection were attributed to other authors (for example, “Portrait of a Young Man” by David then was attributed as belonging to “David’s school”). Yet, his “errors ofjudgment” were rather rare. Sergei Mikhailovich had a natural taste and an “eye for art”. The younger Tretyakov was often called “an amateur”, yet it was obvious that he appreciated art and was a good judge of paintings, even though he evidently gave preference to the French school. He was equally interested in purchasing works which conceptually resembled paintings of the modern Russian school, and exquisite examples of “lighter” styles, including salon paintings. The collection attests the aesthetic talent of its founder. He included works by Russian artists in his collection. He bought them by choice and also on his elder brother’s advice. It is a well-known fact, but articles written about Sergei Tretyakov mention that only occasionally. 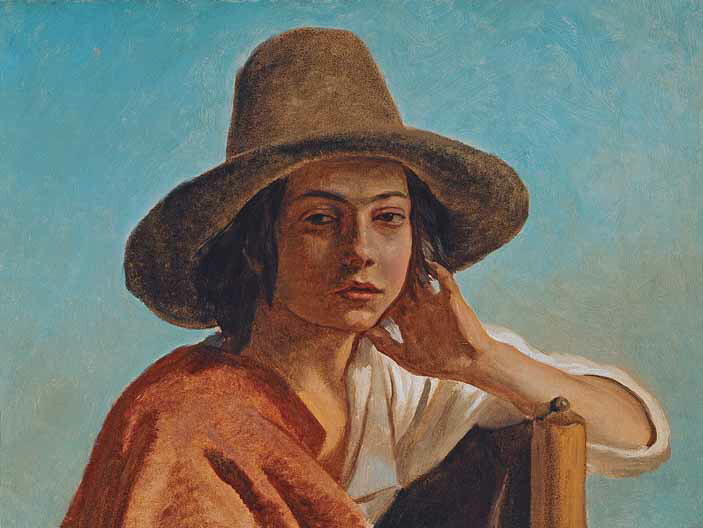 Many specialists share Alexandra Botkina’s opinion that Russian works initially belonging to Sergei, were transferred to Pavel Tretyakov’s collection after Sergei’s decision to deal exclusively with paintings by Western artists. 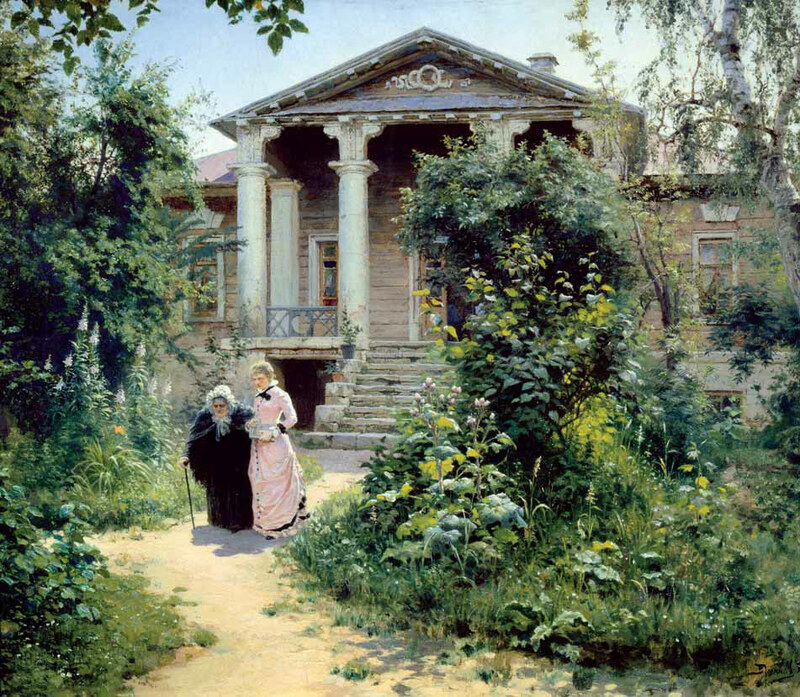 Yet, this opinion to some extent is incorrect as Sergei bought his first West European paintings in the early 1870s, while in 1878 he acquired Polenov’s “The Grandma’s Garden”. Until his death, Sergei kept the painting in his residence. Kramskoy painted his “Moonlit Night” on Sergei Tretyakov’s commission in 1880. The inventory of May 1891, completed during the younger Tretyakov’s lifetime, confirms that he owned 29 paintings and eight statues by Russian artists. According to his will and testament, on Sergei’s death his elder brother received the right to select works from the collection for himself. Given that the inventory listed the prices of all the items, it was used as the main financial document when the ownership of the united collection was transferred to the city. The inventory clearly shows which items belonged to Sergei’s collection during his lifetime, which were owned by Pavel, and which — on Sergei’s demise — Pavel selected for his own collection. Also, the inventory confirms that some items became the property of Sergei Tretyakov’s widow. By the time the inventory collection had been completed 13 paintings by Russian artists were already exhibited at the Tretyakov Gallery. Undoubtedly, all of them are true masterpieces, among the best examples of Russian art. Among them Arkhip Kuindzhi’s “Ukrainian Night” (1876), a few sketches by Alexander Ivanov, including “Castellammare View from Pompeii” (1846) and “Head of a Pifferaro Boy”, and Kramskoy’s “Moonlit Night” (1880) for which, following Sergei’s wish, his wife Elena Andreevna was posing as a model. Today the Tretyakov Gallery collection includes 19 paintings acquired by Sergei Tretyakov. Seven paintings selected by Pavel were added to the initial 13 items of the Tolmachi collection (later the Tretyakov Gallery parted with one of them). They included Karl Gun’s “Got You!” (1875), Alexei Kharlamov’s “Portrait of Elena Tretyakova” (1875), landscape paintings by Sylvestr Schedrin (“Landscape. Naples” and “Street and a House”), Mikhail Klodt’s “Sunset”, Alexei Bogolyubov’s paintings “The Ipatyev Monastery” and “The Summer Night on the Neva at the Seaside”. Yet, Sergei Mikhailovich’s collection contained more works by Russian artists. Unlike his brother, the younger Tretyakov was eager to lend paintings from his collection to exhibitions. Letters and catalogues, which list items from Sergei Tretyakov’s collection, confirm the fact that some paintings were not included in the 1891 inventory. Among them were Fedor Bronnikov’s “Artists in a Rich Man’s AnteRoom”, Vladimir Makovsky’s “A Gentlewoman’s Outing”, Yuri Leman’s “Head of a Lady”, Eugen Gustav Ducker’s “Landscape View”, and others. It is a well-known fact that Pavel Tretyakov made arrangements for the so-called “clean-ups” of his collection, even though he disliked them. Obviously, Sergei parted with purchased paintings more easily than his brother. With regard to paintings and sculptures in Sergei’s collection, some details still have to be clarified. For example, who paid for Antokolsky’s marble statue “Ivan the Terrible” — Pavel or Sergei? 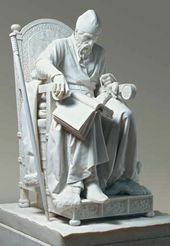 Pavel was engaged in correspondence with the sculptor, and made the commission and paid a loan so that the statue could become reality. In her book, Alexandra Botkina writes that it was Sergei who paid Antokolsky. Yet, according to the available letters, it is apparent that both brothers paid for the statue since its price 8,000 rubles was very high. Until Sergei’s death, the statue was kept at his mansion at the Prechistensky Boulevard. Also, Sergei Tretyakov paid for Vereschagin’s Turkestan series in 1875. To execute the payment, he had to transfer money from St. Petersburg, even though Pavel was initially interested in purchasing those paintings. In 1873 Pavel bought for his brother Fyodor Vasilyev’s work “In the Crimean Mountains”. Soon it became part of the Tolmachi collection. Sometimes Pavel entered into bargaining in his own name to negotiate a price discount for his younger brother. He insisted that Sergei was not just a “member of the general public” so the price of “Moonlit Night”, for example, should be reduced. As a younger brother, Sergei was believed to always submit to Pavel’s will and to do what Pavel told him. Yet, many facts in their correspondence proved the opposite. 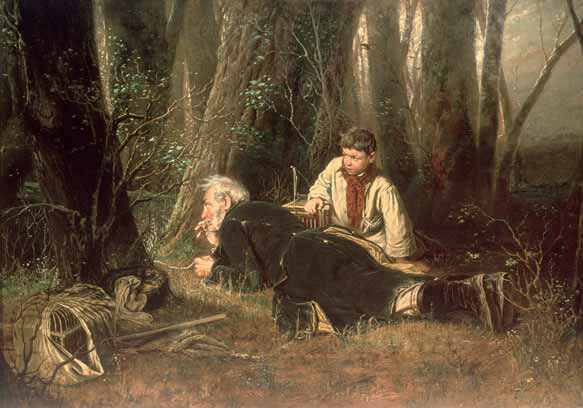 Moreover, Pavel often sought advice from his younger brother. For example, in 1875, after visiting Vereschagin’s studio, Sergei expressed his admiration for five sketches depicting barge haulers in a letter to his brother. Soon afterwards, the sketches were acquired for Pavel’s collection. А year later, Pavel wrote to Pavel Chistyakov: “I also saw Kuindzhi’s work [“Ukrainian Night” — T.Yu.] but I did not attempt to buy it because my opinion of this work is the same as yours. Yet, my brother liked it, and so he bought it.” According to Bogolyubov, Pavel Mikhailovich “could not for quite a long time come to any definite decision on whether to buy or not to buy Yury Leman’s ‘Lady in the Dress of the Time of Directoire’ because the sitter was a Parisienne.”  It seems that most decisions were made by mutual consent. Obviously, Pavel enjoyed the priority right in purchasing works of Russian artists. He earned the privilege in the 1870s when he practically had no rivals on the Russian art market. His competitors appeared only in the late 1880s. In the early 1880s, while living in St. Petersburg, Sergei Tretyakov requested a pension for Vasily Perov’s widow. Perov had close relations with both brothers, and among the Moscow school artists, they considered him one of their favorite painters. Sergei was looking for a possibility to obtain the pension. “Perhaps, it will be possible to do something for poor Mme. Perova,” Sergei wrote in a letter to Pavel. In 1889 Sergei negotiated the possibility to return to the gallery the portrait of the writer Nadezhda Zayonchkovskaya, which had been ordered by Pavel and later kept at Zayonchkovskaya’s estate until her death. 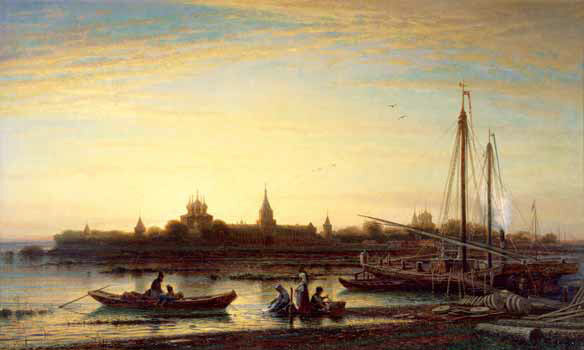 If works by Russian artists constituted but a small part of Sergei Tretyakov’s collection and doubts existed with regard to the circumstances under which many of them had been purchased, its “Western part”, undoubtedly, played a prominent part in the history of Moscow, and even Russian art collecting. It influenced the development of Schukin’s and Morozov’s French art collections. To give due credit to Sergei Tretyakov’s work and his aspirations “to serve the community”, his role in philanthropy (which still has to be explored), as well as in support of Russian art, in the education of the Russian people, and in the popularization of Western European art cannot be underestimated. The Tretyakov Gallery Manuscript Department. F.1. Unit of Issue 3768. Golitsyn V.M. Moscow in the 1870s // “Voice of the Past". 1919. Nos. 5-12, p. 147. Repin I.E. Letters: Correspondence with PM. Tretyakov, 1873-1898 / Prepared for print and notes by M.N. Grigorjeva and A.N. Schekotova. М.; L, 1946, p. 165. For more information on the will and the history of transfer of Sergei Tretyakov's Collection see the article by N.L. Priimak: Sergei Mikhailovich Tretyakov // The Tretyakov Gallery magazine. 2004. No. 3 (04). p. 62-73. In the 1930s this painting was loaned to the Belorussia Museum by the Tretyakov Gallery. Disappeared during World War II. P.P. Chistyakov. Letters. Diaries. Memoirs. 1832-1919. М., 1953, p. 78. Bogolyubov A.P. Notes of a Sailor-artist. Volga. 1996. # 2-3. P. 167. IN. Kramskoy. Letters and Articles. In two volumes. М., 1965. Vol.1, p. 300. The Tretyakov Gallery Manuscript Department. F.1. Unit of Issue 3656. The Tretyakov Gallery Manuscript Department. F.1. Unit of Issue 3675.